Innocent lives are lost every day across the country because of drivers who recklessly decide to run red lights. In 2016, more than 800 people died due to red-light running in the United States. 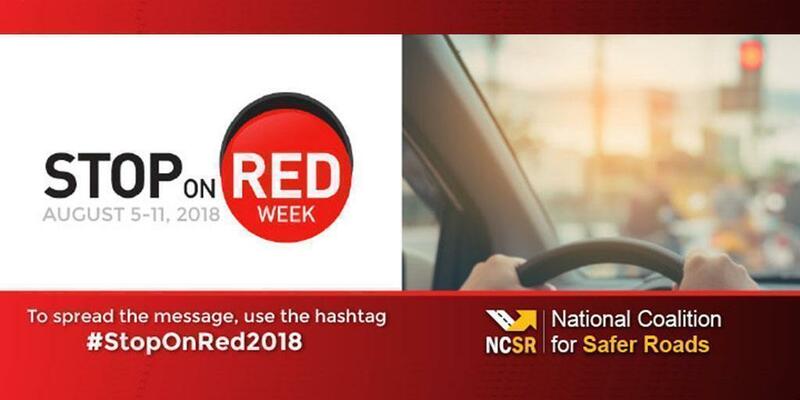 To bring awareness to this dangerous aggressive driving behavior, the National Coalition for Safer Roads holds Stop on Red Week every year. And according to NCSR, Philadelphia is one of the top most dangerous cities for red-light running based on data from 2004-2016. In Pennsylvania, under state law, fines from red light violations at 30 intersections in Philadelphia supply the grant funding for Pennsylvania's Automated Red Light Enforcement (ARLE) program, which aims to improve safety at signalized intersections by providing automated enforcement at locations where data shows red-light running has been an issue. The law specifies that projects improving safety, enhancing mobility and reducing congestion can be considered for funding. The leading cause of death for U.S. teens is motor vehicle crashes. On average, two people died each day in red-light running crashes in the United States in 2016. One in three Americans know someone who has been injured or killed in a red-light running crash. Between 2004-2015, an estimated 10,111 people were killed in red-light running related crashes. 39% of people are injured in crashes in which motorists run traffic controls. In 2016, 808 people were killed and an estimated 137,000 were injured in crashes involving red-light running. The most common type of urban crash involves drivers who run red lights, stop signs and other traffic controls. A large portion of drivers (42.7%) admitted to driving through a stoplight that has just turned red when they could have stopped safely in the past 30 days. More than half of the deaths in red-light running crashes are pedestrians, bicyclists and occupants in vehicles other than vehicle running the red light. Red-light running can be fatal. Show your support by using #StopOnRed2018. Follow PennDOT on social media — Facebook, Twitter, and Instagram.